Skate Texas is a family owned and operated roller skating facility. Having been in the business for over 20 years, we are excited to bring a one of a kind family entertainment facility to Sealy, Texas. We strive to have fun in everything that we do. Our mission is to provide an opportunity for families and friends to relax and enjoy themselves in a safe and clean environment. 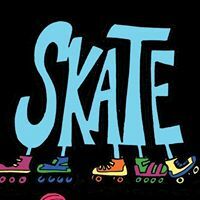 You may book Skate Texas for private parties, birthday parties and so much more.